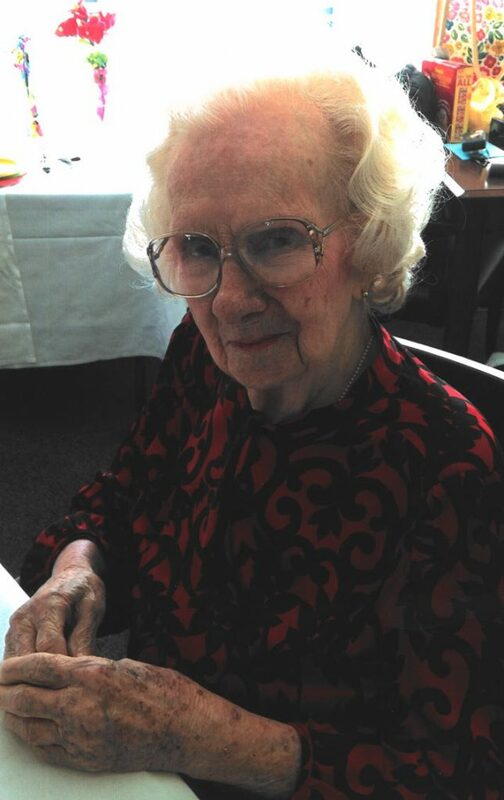 Kathryne Morrow Pinnix, age 102, went to her Heavenly home on Sunday, March 24, 2019 at Westminster Village in Spanish Fort where she has made her home since Hurricane Katrina. She was a native of Philadelphia, MS and lived in Long Beach, MS for over 60 years. She was a faithful member of the Long Beach Methodist Church while living in Long Beach and joined the Spanish Fort Methodist Church in 2005. Kathryne was a true homemaker and loved being one. She was an avid gardener and her beautiful yard reflected her love of flowers. She bravely faced the loss of her home and all she loved in Hurricane Katrina. And at the age of 90, she fought and won her battle with breast cancer! She was a wonderful, mother, grandmother and great-grandmother, and was fondly called “Kattail” by those who loved her. Kathryne is preceded in death by her husband, John “Jack” Pinnix, Sr.; brother-in-law, Jack Greenleaf; sister, Frances Twigg; and her son-in-law, Tony Egnor. She is survived by her daughter, Jacqueline Egnor of Albuquerque, NM, her son, John “Frank” Pinnix, Jr. (Pamela) of Daphne, AL; grandchildren, Gail Heflick (Dennis) of Albuquerque, NM, Kay (Don) McHenry of Daphne, AL, John “Trey” Pinnix, III of Slidell, LA; sister-in-law, Billy Greenleaf of Philadelphia, MS; four great-grandchildren; one great-great-grandchild; along with numerous nieces and nephews. A private graveside service will be held at a later date. In lieu of flowers, the family asks that donations be made in her memory to a charity of your choice. Expressions of condolence for the family may be made online at www.hughesfh.com. Hughes Funeral Home is assisting the family.